Our employees have done a lot to attract customers, what next? No doubt, a lot needs to be done to attract potential customers. As a business owner, you completely understand the effort that it takes to spread awareness in a manner that the individuals who come to know about your services or products finally make up their mind to go ahead and purchase. However, your order taking team has a lot riding on its shoulders from the time an individual gets in touch with you to place an order till the time the task is accomplished without any hassle. Being a service provider, you know that business success is impossible without market expansion and acquisition of new customers. Since convenience matters more than anything else to a modern customer, he looks for the organizations that address his request whenever he feels like. Any contemporary enterprise cannot keep abreast with its competitors if its order taking services are not able to meet the business targets. 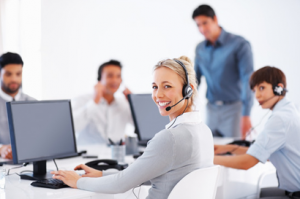 In today’s times of economic turbulence and financial instability, companies seek the assistance of a reliable Call center outsourcing partner who is ready to assume responsibilities and handle their order taking functions. At Vcall Global, we accept that order taking incorporates a lot more than what appears on the surface. However, one cannot deny that it is critical to the health of an organization. Instant Messaging: Your customer is free to seek any kind of information and place the order at any time he wants. Our service representatives would never step back from closing deals on your behalf. Voice over Internet Protocol: A customer who makes a call need not worry or wait for his turn. Able to handle calls beyond the anticipated number.